Samsung last week announced its decision to recall the millions of Galaxy Note 7 handsets it had sold since August 19, following reports that the phones were exploding while charging. But some owners have yet to hand back the devices and are finding that they’re still going up in smoke. 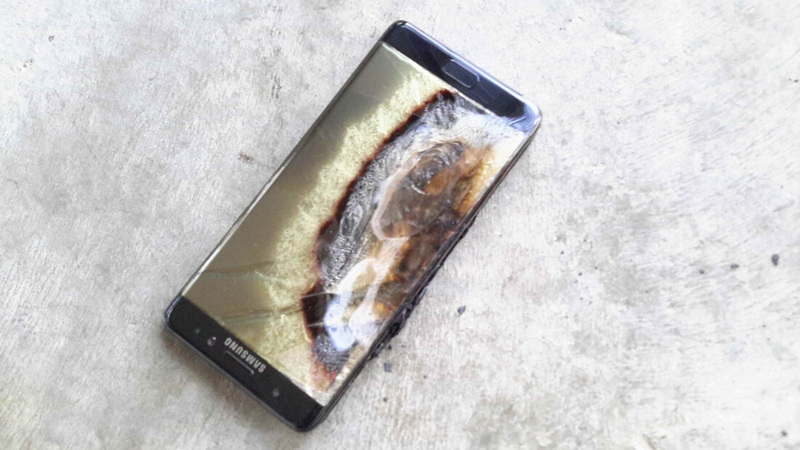 Over in Australia, Samsung has recalled 50,000 Note 7s, but there hadn’t been reports of any unwanted fires - until now. A Melbourne man named Tham Hua revealed on Reddit that his phone exploded during the charging process while he slept next to it in a Perth hotel, causing over $1380 worth of damage. Hua, who goes by the username “Crushader” on Reddit, said the Note 7 “fizzed and then popped open,” before bursting into flames. “'Please do not use the phone anymore, it is dangerous and not worth the risk,” he added. Samsung said that up until September 1 there had been 35 cases of exploding Note 7s reported globally. "I knew of the recall and lodged my application with Samsung as soon as they announced officially on Friday, and now three days later it has happened to me," said Hua. After visiting a Samsung store, Hua was given a Galaxy J1 loan device (you would have thought they’d give him an S7) and was assured that the company would take care of the bill for the damages to the hotel. Before reports of the explosions started coming in, many reviewers called the Note 7 “the best smartphone you can buy.” With big rival Apple unveiling its iPhone 7 today, the damage to Samsung’s reputation has come at a bad time – don’t be surprised if Apple has a subtle dig at the South Korean firm’s combustible devices during the press event.